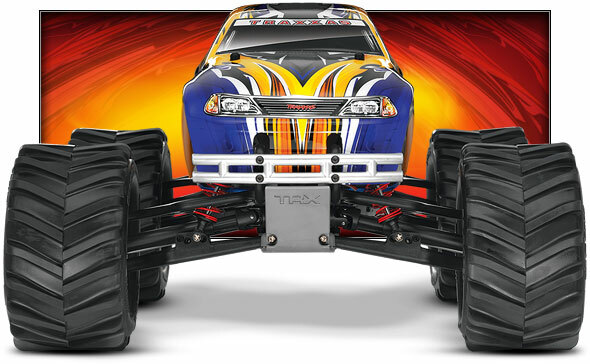 Traxxas T Maxx - The #1 Selling Monster Truck of All Time! 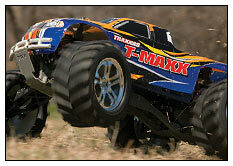 With premium Maxx® features such as the patented forward and reverse transmission! 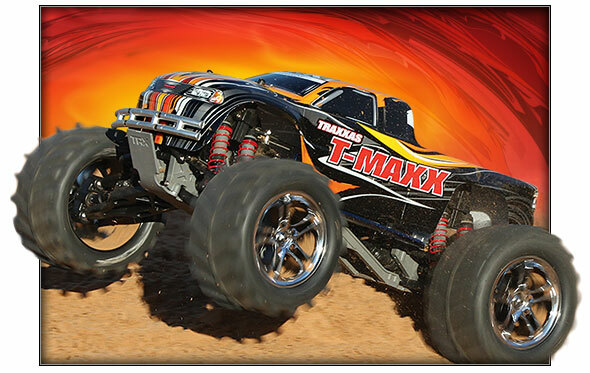 T-Maxx is a complete package that is fully assembled and Ready-To-Race® with an installed, high-power pistol-grip radio system. 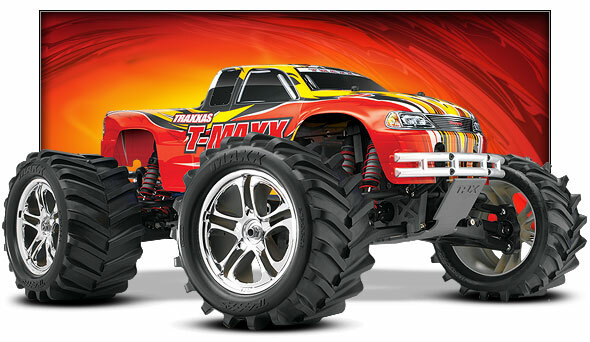 The body is painted with incredible new graphics and the tires are pre-glued with foam inserts. Even the decals are applied. 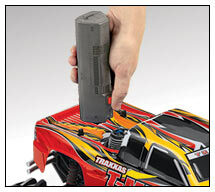 T-Maxx also comes with full Traxxas support. 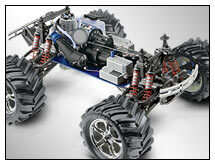 Experienced pros are with you every step of the way to answer questions and help you get the most performance from your model. Toll-free† support is available via telephone, e-mail, or online. 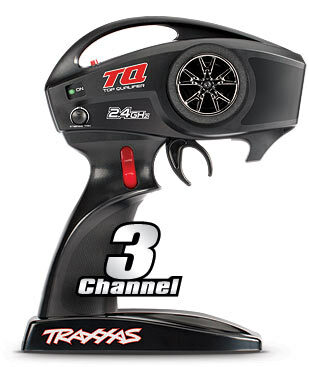 The TRX 2.5 Racing Engine is backed by the Lifetime Engine Replacement Plan that makes it simple and affordable to maintain peak engine power down the road.